The first thing that EM Online ApS, the owner of Lanadas, has improved is the welcome bonus. In this part we will discuss the Lanadas Casino Bonus. Comparing the bonus from Lanadas to bonuses from other sites… We can conclude that it scores above average. That is not only because of the bonus amount, but also the conditions of the bonus. 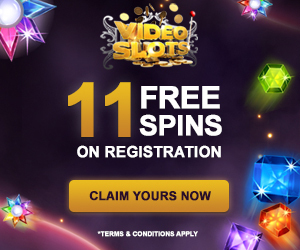 Besides the bonus, Lanadas also offers a lot of FREE spins when you create an account on their website. But first things first, we will start with discussing the bonus. 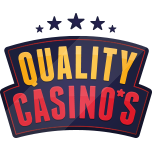 Because the testing team was positive about Dealers Casino, we delved deep into the Lanadas Casino website to give a review as reliable and honest as possible. As an exception, we decided to deposit the maximum amount of bonus money, so we were sure we should have enough money to play lots of different games. It gave us also the possible to investigate who difficult it would be to unlock the 200 euro of bonus money. Although the fact we didn’t expect a lot of spectacle, our Testteam was pretty astonished after playing for several hours. Wagering the bonus amount was absolutely no problem. We played different slots and before we knew, we unlocked the bonus and a withdrawal was possible immediately. Maybe we were a bit lucky, but we played with the same conditions with which we are testing every casino. Also the ease and flexibility while switching from slot to slot impressed us. 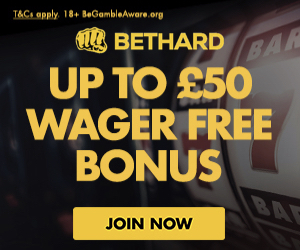 The wager of the bonus amount is 35 times. For a bonus of 200 euro, that isn’t that bad. On the contrary, normally we see higher wagers for bonuses the size of that. A really special fact of the bonus is that you can wager it while playing in the live casino. There are not many casinos, who offer this opportunity, we were well surprised. We left the casino with a really positive feeling. Not only because of our win, also because the professional content of the site, the accuracy and the flexibility to switch between slots. Maybe our positive feeling was a little bit fed through the FREE spins we received before we even made a deposit. 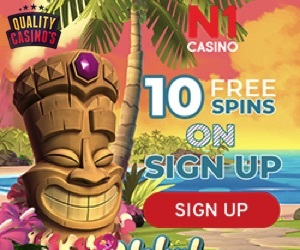 Only making an account was enough to receive 50 FREE spins. It’s a nice manner to explore a slot and try to win some money. 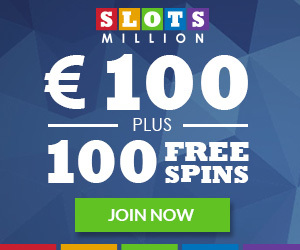 A little bit disappointing is the fact, that the money earned with the FREE spins, has to be wagered 50 times. On the other hand, it is all free money and you can explore every slot or game you want even before you have to deposit some money. It’s a great way to get some experience with some games. And to decide on which game you want to invest your money as well, when you make the decision to make a deposit. And it’s not excluded that you will some free money with the spins. Overall we can conclude that the bonus, the conditions of the bonus and the FREE spins Lanadas casino offers are really good. Although maybe we had a little bit of luck, it was extremely easy to wager the bonus. We also received some attractive offers, up to the present day, to come back and play in the casino. Maybe we will update this threat later this year, if we returned to the casino and tried the offers we received in our testing team mailbox. Lanadas casino, an absolutely must to explore!